Barcelona star defender Gerard Pique announced his retirement from global football Saturday following the 2018 World Cup. Barcelona defender Gerard Pique announces his retirement from global duty with Spain, having won 102 caps for his country. Pique's retirement announcement does not come as a surprise as he had made a statement back in October 2016 that he would quit worldwide football after the FIFA World Cup 2018, held in Russian Federation. And despite the presence of former Barca boss Luis Enrique on the Spain bench, Pique has made a decision to call it a day. However, the former Manchester United defender insisted that he felt "fortunate for being a part of the national team during such a attractive and successful time" and said "the decision had already been made a long time ago and it was well thought out". 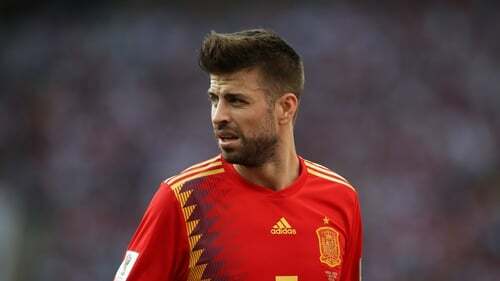 Pique was an instrumental force for Spain while winning the 2010 World Cup and the 2012 Euros. The 31-year-old defender says he told the new Spanish coach Luis Enrique that the recent World Cup was his last tournament with the national side following a career which consisted of 102 appearances. "Now I want to focus on Barca", he added. 'I have a few years left here and I'm going to enjoy them a lot'.